It is always good to find corroboration of old family stories. Such is the case with George Hobbs. I believe she is correct in that assertion. According to the REVISED STATUTES OF THE STATE OF NORTH CAROLINA, PASSED BY THE GENERAL ASSEMBLY AT THE SESSION OF 1836—7, George Hobbs of Ocracock was a Commissioner for the port of Ocracock to examine individuals desiring to be pilots for Ocracock bar, the Swashes, and through Pamlico and Albemarle sounds. That statute clearly indicates that there were Hobbs’ in Ocracock (Ocracoke) then. I am not convinced the George Hobbs mentioned is the George Hobbs who was Hazel’s great-grandfather though. Examining pilots falls outside of George’s other known skills (as a lumber getter). Also, he would also be fairly young for such a posting, being only 32 years old at the time. It might have been George Hobbs’s father or some other relative. Anyway, the statute does confirm that there were Hobbs in Ocracoke at the time[ii]. She is right, George Hobbs (1842-1865) did die in a prison hospital at Elmira, New York on 21 May 1865. Her suspicion that the commissioner could have been J.A. Hobbs’s father is, however, correct. The LAWS OF THE STATE OF NORTH CAROLINA PASSED BY THE GENERAL ASSEMBLY, AT THE SESSION OF 1848-’49 clearly indicates the a George Hobbs was a commissioner at Williamston, NC. This George Hobbs was J.A. Hobbs’ father, so, Hazel’s suspicion was correct[iii]. George Hobbs was likely born between 02 Jun 1804 and 01 Jun 1805[iv], probably in Hyde County, North Carolina[v]. Once source suggests that he was born in 1801[vi]; however, I do not agree because elsewhere in the same book a birth year of 1805 is provided. Additionally, the 1850 Census suggests a birth of 1804-1805[vii]. We know nothing of George’s youth. According to Hazel, the family bible states that he married Eartha W Gaskins on 29 March 1836. However, he had several children before he married Eartha. There is apparently a child whose name is unknown that was born between 1825 and 1830 who is likely George’s. Also, his daughter Sarah was born between 02 Jun 1835 and 01 Jun 1836. If she was born in 1835, it is unlikely that she was Eartha’s child. If Sarah was born later in 1830, then she must be the mother and was with child before the marriage. As staunchly conservative as they Hobbs family was, I think it much more likely that George’s first wife had Sarah and possibly died in childbirth. Then George remarried quickly. George’s second son, George Hobbs was born in 1842 in Beaufort, Carteret County, North Carolina. George is known to have died during the Civil War. James Ashley Hobbs was probably born in October 1843. Different sources indicate he was born in 1841, 1842, 1843, and 1844. The closest census to his birth, 1850, indicates he was 6 years old at that time, making 1843 the most likely birth year[x]. Later in 1849, another daughter, Hester Jane Hobbs, was born on 14 Sep[xii]. 1850 Census indicates an apparent spouse named “M,”[xiii] and the Martin County Heritage book confirms that name[xiv]. That raises the question, Was “M” the same person as Eartha W. Gaskins or was “M” a third wife. If the latter, which were her children and which were Eartha’s? I will need to do more research into all the children and their lives and see if I can determine a timeline for his marriages and children. George probably died before the 1860 census was taken, as he doesn’t seem to be listed in the 1860 census and his children are scattered across the eastern seaboard. Who was the first wife of George? Was George married a third time? When and where did George die. [i] Hughes, S. J. N., & Martin County Historical Society (N.C.), Martin County Heritage (PO Box 468, Williamston, NC, Martin County Historical Society, 1980), 419 – George and Eartha Gaskins Hobbs. 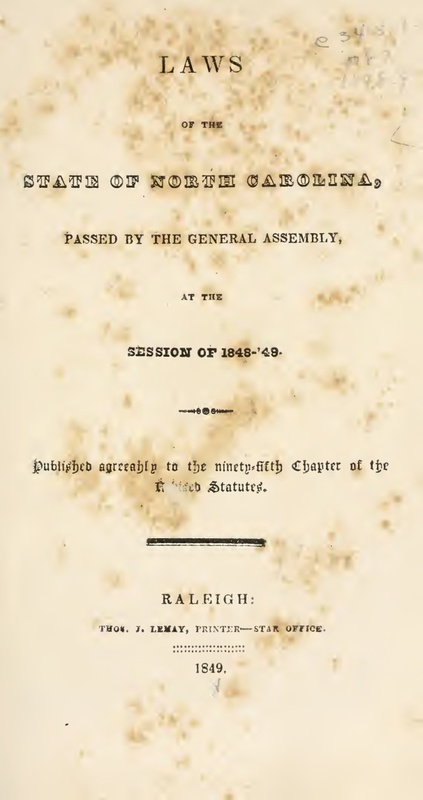 [ii] REVISED STATUTES OF THE STATE OF NORTH CAROLINA, PASSED BY THE GENERAL ASSEMBLY AT THE SESSION OF 1S36—7 (Raleigh, NC, PUBLISHED BY TURNER AND HUGHES, 1837), Archive.Org, Pages 467 & 468 – CHAPTER 88: PILOTS AND COMMISSIONERS OF NAVIGATION: Section 29. Board of commissioners appointed for Ocracock—Their duty in regard to pilots—Their compensation – Oath to be taken by them. https://archive.org/details/revisedstatuteso01nort. [iii] LAWS OF THE STATE OF NORTH CAROLINA PASSED BY THE GENERAL ASSEMBLY, AT THE SESSION OF 1848-’49 (Raleigh, NC, THOS. J. LEMAY, PRINTER—STAR OFFICE., 1849), Page 434 | CHAPTER CCXL. https://archive.org/details/lawsofstateofnor184849nor. [iv] 1850 United States Federal Census, Ancestry.com, Year: 1850; Census Place: Martin, North Carolina; Roll: M432_636; Page: 403B; Image: 443, Line 13. [v] Hughes, S. J. N., & Martin County Historical Society (N.C.), Martin County Heritage (PO Box 468, Williamston, NC, Martin County Historical Society, 1980), 419 – George and Eartha Gaskins Hobbs. [vi] Hughes, S. J. N., & Martin County Historical Society (N.C.), Martin County Heritage (PO Box 468, Williamston, NC, Martin County Historical Society, 1980), Article # 495 – Hettie Elizabeth Johnson. [vii] 1850 United States Federal Census, Ancestry.com, Year: 1850; Census Place: Martin, North Carolina; Roll: M432_636; Page: 403B; Image: 443, Line 13. [viii] 1840 United States Federal Census, Ancestry.com, 1840; Washington, Beaufort, North Carolina; Roll: 355; Page: 268; Image: 546; Family History Library Film: 0018092 – Geo Hobbs. [x] 1850 United States Federal Census, Ancestry.com, Year: 1850; Census Place: Martin, North Carolina; Roll: M432_636; Page: 403B; Image: 443, Line 13. 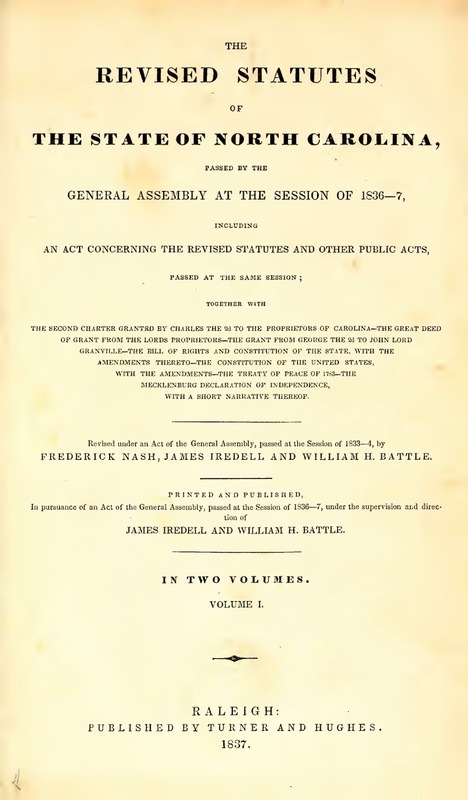 [xi] LAWS OF THE STATE OF NORTH CAROLINA PASSED BY THE GENERAL ASSEMBLY, AT THE SESSION OF 1848-’49 (Raleigh, NC, THOS. J. LEMAY, PRINTER—STAR OFFICE., 1849), Page 434 | CHAPTER CCXL. https://archive.org/details/lawsofstateofnor184849nor. [xii] Hughes, S. J. N., & Martin County Historical Society (N.C.), Martin County Heritage (PO Box 468, Williamston, NC, Martin County Historical Society, 1980), Article # 495 – Hettie Elizabeth Johnson. [xiii] 1850 United States Federal Census, Ancestry.com, Year: 1850; Census Place: Martin, North Carolina; Roll: M432_636; Page: 403B; Image: 443, Line 13. [xiv] Hughes, S. J. N., & Martin County Historical Society (N.C.), Martin County Heritage (PO Box 468, Williamston, NC, Martin County Historical Society, 1980), Article # 495 – Hettie Elizabeth Johnson.